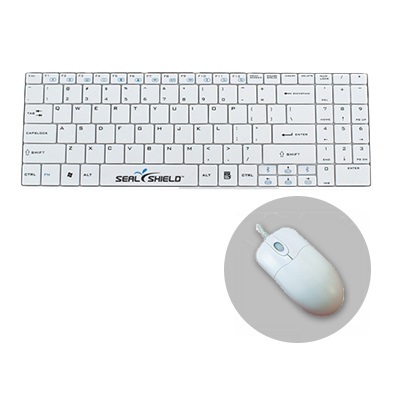 Seal SV099K Keyboard IP68 USB White Plus Mouse Combo. Medical Grade Chiclet Keyboard & Mouse. SILVER STORM Medical Grade Optical Mouse With Scroll Wheel - Dishwasher Safe and Antimicrobial (White)(USB). The original DISHWASHER SAFE Scroll Wheel mouse.